The MC-DMON-9S from Decimator Design is a low cost, miniature 9 to 1 openGear card Multiviewer. 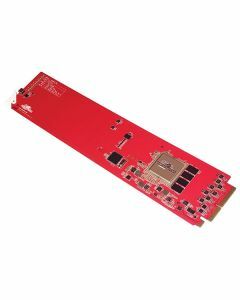 The MC-DMON-9S from Decimator Design is a low cost, miniature 9 to 1 openGear card Multiviewer. The 9 SDI inputs are independent of each other, allowing a non-synchronous mix of 3G/HD/SD feeds. Select from preset layouts or customise your own, and monitor any number of inputs between 1 and 9. Warranty for all Decimator Design products is 3 years.